When Lisa Macdonald, Operations Supervisor at Autocare Services Townsville comes to work each day, she has one expectation from her team working as vehicle processors and drivers in the trucking business. And that is to come through the door with a smile, and say hello (even if they might be still waking up for the day). 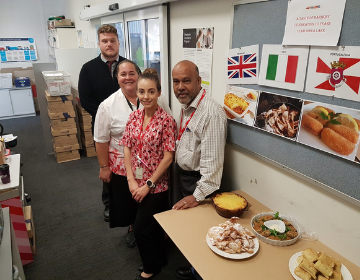 But on the annual A Taste of Harmony day, she is guaranteed to not only see her team bounding through the door with big smiles on their faces, but also proudly carrying home-made dishes to help introduce each other to their cultural background as they take part in the celebrations. “I don’t know if you have ever been in a lunchroom of young men – more often than not they are glued to their phones – but never during our A Taste of Harmony celebrations. The phones are put away as the wider team excitedly puts down their dishes around the table”, Lisa said. Recognising all elements of diversity is a business priority for all employees at Autocare Services (including their parent company LINX Cargo Care Group). Participating in a day that celebrates the benefits cultural diversity brings, in particular, is proudly supported by the entire organisation and senior leadership encourage all employees to take part. Having first signed up several years ago, Lisa could not have imagined that A Taste of Harmony would still be as popular as it is today. It has become a highlight of the year and anticipation starts among the team weeks before the lunch takes place. Everyone eagerly plans the dish they will bring in and reminisces on their favourite past dishes. “Every single person makes something homemade – in seven years I have yet to see a pre-made packet of anything”, Lisa said. We recently asked Lisa to tell us more about her experience of A Taste of Harmony, including the most memorable dishes and why it has been firmly cemented on the calendar as a must-attend event for her team. Why did you decide to take part in A Taste of Harmony? Originally it was seen as a nice activity to get the team together and share food. We didn’t necessarily see ourselves as a particularly ‘multicultural’ group, but by taking part, we realised that there are so many different backgrounds within the team. It gave everyone the chance to get to know each other better in a relaxed setting, and the food was a way of starting a conversation that we wouldn’t otherwise have had. What happens at your event? Everyone sits around and talks about what they made, and how they made it. It is all very casual, but we share details around ingredients and where it originates from. There is a real sense of pride from each person as they have the opportunity to present their dish to the team. I put up posters and encourage my team to take part and ensure that everyone feels welcome. It can be a bit harder for the drivers who start early and head out of the road, but those who are onsite are encouraged to stop work and join in. They don’t need to be asked twice! How do you make it work in your workplace? While you might not pick a group of young people to be budding chefs, the team love it! It’s a really positive experience for them because it gives them all a chance to bond and talk to each other. It is a really good activity for everyone’s mental health as the team has the opportunity to get to know work colleagues better and talk to each other in a way they would not usually do. One memory that stands out is a young person who did not realise that his background was so diverse (and had never had a reason to ask his family). Another team member who is Danish insisted that I Google dishes with him so that he could cook an authentic ‘Danish’ dish; not wanting to make the same thing each year or the usual expected Danish food. And someone’s Mum still cooks the occasional dish! What are some of the best dishes you can remember from your lunch events? 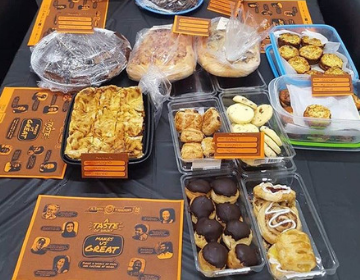 Over the years there has been many highlights, including New Zealand fritter, Guinness cake, herring, beef goulash, spring rolls and lolly cake. We find ourselves talking about our favourite dishes all year round. What do you find to be the benefit of A Taste of Harmony? It is seeing the young males in the team engage and get to know not only each other better, but the rest of the team. Talking about and sharing the dishes they have proudly brought from home becomes a way of opening conversation. There are so many benefits – learning where the team member or their ancestors originated from. 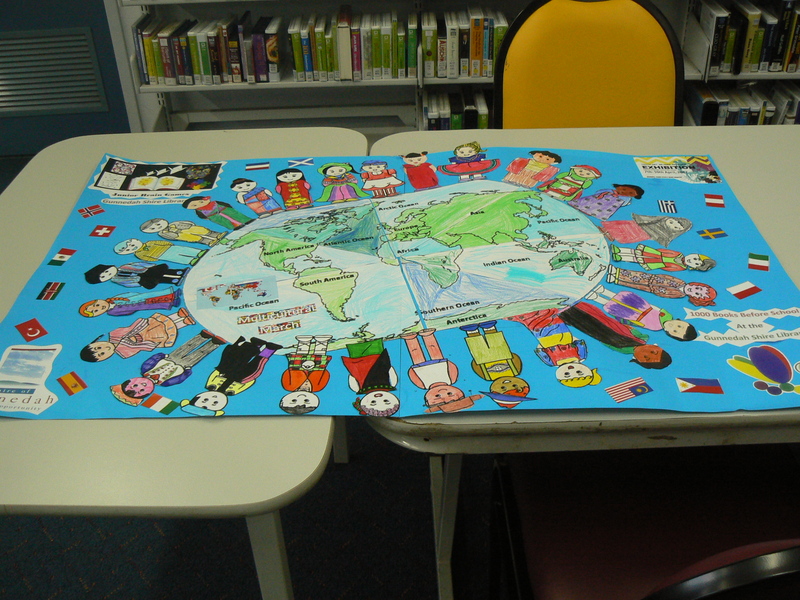 It is fun, interesting and educational. It’s learning about others as well as learning about yourself. Why would you encourage other organisations to get involved? the team get so much value from. I’ve seen the opportunity it creates for teams to interact, which is an important thing with a team that can have a tendency to take their breaks on their own, scrolling on their phones instead of talking with each other. Instead they are opening up and learning more about each other. LINX Cargo Care Group brings together the capabilities and expertise of five market-leading operations built on over 100 years of ports and logistics experience. Together, the group’s five businesses; LINX, Autocare, C3, Pedersen Group and GeelongPort employ approximately 4,000 people in 70 sites across Australia and New Zealand. 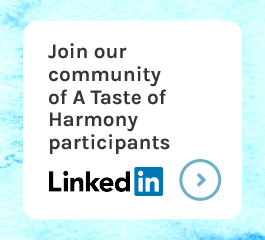 Click here to learn more about A Taste of Harmony and how your workplace can register and get involved. Download AutoCare’s ATOH story here.